Winnipeg-based online delivery service Skip the Dishes is moving out of the U.S. market. The company confirmed to CBC News it has entered into an agreement to transition operations of their six markets in the United States to its Chicago-based competitor Grubhub. 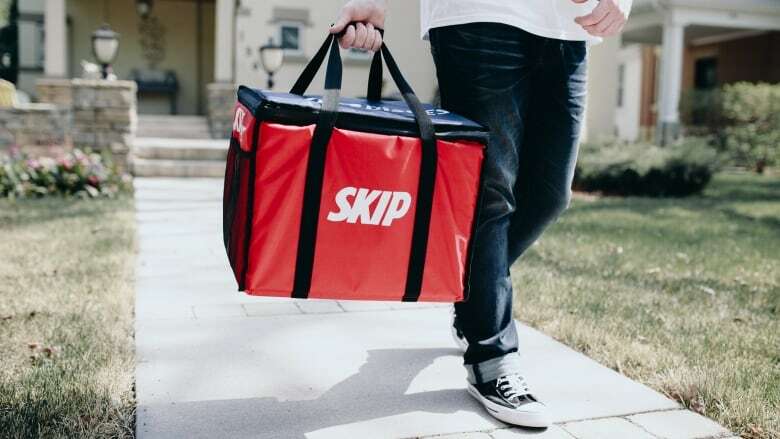 "Our focus is on building our business and brand at home in Canada," a Skip the Dishes spokesperson said in a statement. The spokesperson said the company will continue to grow its international food delivery as part of the Just Eat Group. Just Eat is described as a "leading global marketplace for online food delivery headquartered in the U.K." on the Skip website. The company, which started in Saskatoon and is headquartered in Winnipeg, partners with 19,000 restaurants across the country, 700 of them in Manitoba. Skip now operates in six U.S. cities: Buffalo, N.Y.; Omaha, Neb. ; St. Louis, Mo. ; and Cincinnati, Cleveland and Columbus in Ohio. Jazib Haider, 24, has been a contracted driver for Skip the Dishes in Buffalo for the last two months, and also drives for Uber Eats. He received an email from Skip this week, letting him know about the change. He says the company told him it would continue to operate under the Skip the Dishes name until at least the end of April, and Grubhub would reach out to Skip drivers about driving for their network. Other than that, he says they haven't been clear with details about the merger. "I have no idea what's coming for us now," he said. He says he wasn't too surprised by the news. "Every time I went to the restaurant they were always complaining about how the drivers weren't on time," he said. "And after that, they would say Skip the Dishes support wasn't all that great." From a logistical point of view, he says many of the orders he took for Skip, which paid him a flat rate per delivery regardless of the distance he drove, didn't make sense. He says Uber Eats pays him per mile and for his time. "I number crunched and figured out that I was getting paid about 88 cents to a mile [with Skip]," he said. On average he says he'd make around $10 an hour for an eight- to nine-hour shift with Skip, but only if customers were tipping. The spokesperson for Skip wouldn't disclose details of the deal reached between Grubhub and Skip at this time, but said more details would be released closer to completing the transition. This story has been updated with Skip The Dishes' most recent number of restaurants (700 in Manitoba and 19,000 in Canada) as of April 5, 2019.